Actor Yoon Si-yoon has gained great success by appearing in the drama "Bread, Love, and Dreams" after his previous drama "High Kick Through The Roof". 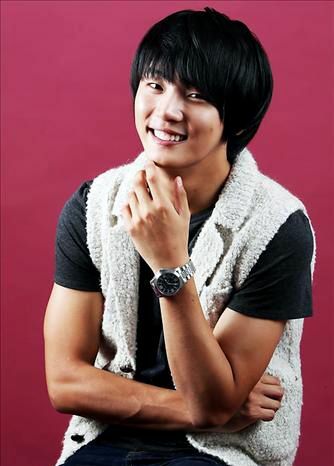 Yoon Si-yoon said, "Ninety-nine percent of people had told me, 'You will not be able to succeed'. But, the other one percent of people, who were my parents and my manager, cheered for me and their encouragement has made me who I am today". Yoon Si-yoon played the protagonist named Kim Tak Koo in "Bread, Love, and Dreams", which finished airing on September 16 by recording 50.8 percent viewer ratings, and he has become an actor who makes Songpyeon with the president of Korea overnight. He said people had shown negative opinions of him, but he had acheived great success with his own efforts by overcoming those negative opinions. Early last year, nobody knew his existence, but he had risen as a rookie actor when he played "Joon Hyuk" in MBC TV's sitcom "High Kick Through The Roof", which had begun airing from September last year. He became a nationally-known actor whom many Koreans recognized by appearing in his second drama. A reporter met and interviewed this lucky man whose life has been changed completely overnight. Yoon said, "I heard that actors have to come out from the role that they had played once the work has finished, but I still cannot believe that the drama has finished. I just feel like I am taking a break in the middle of filming". The interview was nice and neat. Yoon gave thoughtful answers for every question and he was emotionally stable during the interview. His attitude was very sincere and humble during the interview. It seemed his character, Kim Tak Koo, who had shown the "power of an absolutely positive mind", was actually overlapping with the real attitude of actor Yoon Si-yoon. Yoon said, "There is no difference in my life. I was happy before the drama and I am still happy. But I feel good when I can see people around me become happy because of me. I was always a positive person, and I decided to try to become just like Kim Tak Koo while playing him in the drama. I think that Kim Tak Koo is not just a fictional character, and I believe that I can become happier if I live my life while resembling Kim Tak Koo in the real world. People might say that Kim Tak Koo is just a fantasy, but I think that actors have to give dreams and fantasies to the public, and I have to maintain those dreams of Kim Tak Koo as an actor". He had reportedly gone through hard times before his debut as a protagonist of a TV series, but he never mentioned it even though reporters tried to ask about it. He said, "I was born in an ordinary family and I did not have many troubles. My family's circumstance could be bad, but it was a common standard of living. Anyway, now I am happy because I can help my parents and lessen their burdens". Yoon Si-yoon confidently said, "I wanted to become an actor from the moment that I was born". He entered Kyungki University majoring in theater and film, and he had tried to debut in the entertainment world for four years without any results. Finally, he was cast in "High Kick Through The Roof". Yoon said, "When I participated in an audition, I always failed during the document screening part. I could not even have the opportunity to do a real audition. Maybe there were many reasons, but I just think that it was not the right time for me. Then I applied for the role in 'High Kick Through The Roof' and received the phone call to come to the audition. I did not have high expectations about it and I did not even know how to do an audition properly at that time. Later, I heard that many handsome and skilled actors had come to the audition, but the director Kim Byong Wook had wanted to find a really rookie actor just like me, so I think that was why I could get the opportunity. When I did the audition, I picked up something on the set while immersed in the emotion of my acting and threw it, hitting the head of the production director, Kim Byong Wook. It was a such an embarrassing accident (laugh)". He continued, "Many trainee actors including me just have a dream of becoming an actor but they cannot even get any opportunity. In this situation, what I did well was the only thing that I always thought about before going to bed every day, which was becoming an actor". Yoon had become famous by appearing in the sitcom "High Kick Through The Roof", but his casting as the protagonist in "Bread, Love, and Dreams" was a different matter. Almost everyone related to the drama production had actually strongly disapproved of his casting. 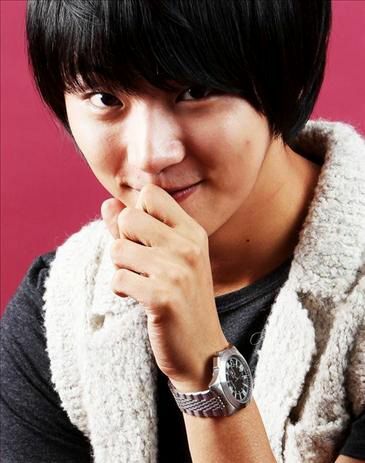 Yoon Si-yoon said, "One time the writer came to me to say that it would be hard to cast me for the role due to the strong opposition, but at that time, I did not realize the atmosphere and said with a big smile, 'I did not have the confidence to present my best acting, but I can act with sincerity with no pretense'. Maybe I was unable to think that I would not be chosen, just like the way that Kim Tak Koo never thinks negatively about everything (laugh). I think that the writer gave me the chance due to this similarity". Yoon said, "Kim Tak Koo is a positive person not because he is very generous and has a broad mind, but because he feels uncomfortable and cannot endure any situation where he thinks negatively about something. It is the same with me. I always try to think positively and regard something as a good thing to me, not because I am a good person, but because I do not want to see myself destroyed in a negative and sad situation". But Yoon had felt tremendous pressure about playing Kim Tak Koo in the beginning, and the pressure had been much greater than he had expected. He said, "It took a long time for me to overcome the situation where people were concerned and expressed ridicule regarding my casting. I was worried and discouraged and I even thought, 'Can I play the role?' and 'I might not be able to do it'. But I could get encouraged by watching the child actor Oh Jae-moo's acting in the beginning. While watching his acting, I really wanted to create a beautiful and nice character in Kim Tak Koo". Yoon was very lucky in terms of not only being cast as the protagonist, but also having an opportunity to act together with many top senior actors such as Jun Kwang-ryul, Jun In-hwa, Jung Sung-mo, and Jang Hang-sun. Yoon said, "I could learn the meaning of standing in front of people by appearing in 'High Kick Through The Roof', and I could come to love acting by appearing in 'Bread, Love, and Dreams'. I could learn many things from many senior actors who presented the best acting ability and I could feel excitement about acting thanks to them. In addition, I received great love as an actor from viewers, as the drama had recorded 50 percent viewer ratings. I have to repay that great love from now on. I want to repay their love by acting sincerely with a positive mind. It could be very hard, but I want to show my efforts to become the best actor to people". The reporter asked whether Yoon wanted to talk about the difficulties that he had gone through before he gained this huge popularity, and Yoon answered, "There are many other actors who have good acting ability, but have difficulties as an actor by not having any chance to reveal that ability. If I think about those actors, I cannot even mention my previous difficulty. I feel sorry about those actors". Yoon Si-yoon disclosed his future plans by saying, "I want to overcome my weaknesses. I had portrayed a teenage boy by playing 'Joon Hyuk' and a young man by playing 'Kim Tak Koo'. Now, I think that I have to be prepared to play a grown-up man who can protect his family".